"Was it your or Jaymi(my sister) looking for a sewing machine?" I was SO excited. I have gone to the auction with him before but I never really saw anything of interest. This gem must have known I was looking for her. I am not very knowledgeable with sewing machines so he sent me the name and model for me to look up. After some research, it retails for $250-350, I got it for...wait for it...$45!!!! I met up with him today to pick it up, it even has a carrying case! I went right to Joanns (not my favorite experience) to get material to start making some things for us. Hopefully you will be seeing some sewing tutorials coming up on Tutorial Tuesday! Today I am thankful for such caring family.Thank you SO much Uncle Michael for always looking out for me, I couldn't ask for a better Uncle. This weekend we trucked out to Pottery Barn Kids for Eliza to spend her gift card. It would have been much easier for us to just order online since it is about an hour away, but it isn't as easy for Eliza to pick out what she wants. After walking up and down the store she made her pics, a night light and a dog sleeping bag. I was thankful for the night light, I hate having to turn the hall light on to check on her, it tends to wake her up. The sleeping bag...well she will enjoy it in a few months/years. It is very comfy and warm, I tried it out for her last night. I did manage to get her to sit on it for 30 seconds to snap a few pictures. 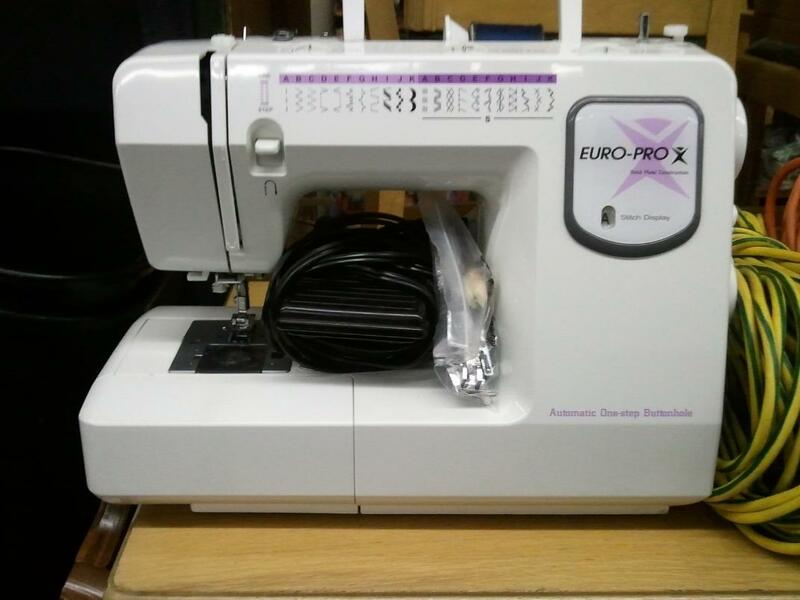 what a great deal on theat sewing machine! and your daughter is adorable...almost the same age as my little one. She was born in September 2010! I'm stopping by for the blog hop! please stop by when you getthe chance!